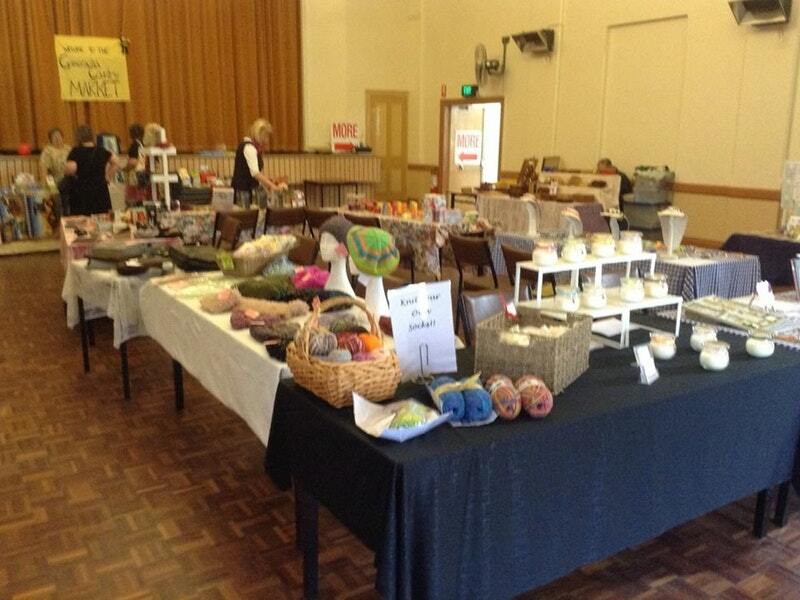 Gumeracha Country Market is open on the third Sunday of the month (except January), from 10am to 3pm or later, in the Gumeracha Town Hall and surrounds. Most of the stall holders make their own displays and offer a wide range of goods including hand knitted items, handmade cards, home spun wool, handcrafted marquetry, quilting products and candles. You will also find jewellery; bric a brac, embroidery, home baked delicious treats, a wide variety of plants and herbs, second hand treasures, local made Olive Oil, sewing crafts of great variety and local vegies and fruit in season. At the Market Cafe you can sit and relax while treating yourself to homemade scones and jam and cream while drinking some fine coffee or tea! The Christmas Market will be held on 21st December 2014. The 2015 dates are as follows - 15 February, 15 March, 19 April, 17 May, 21 June, 19 July, 16 August, 20 September, 18 October, 15 November, 20 December. Come and enjoy our market and take home some treasures to remember us by!